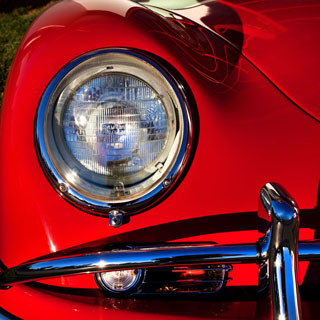 Achieving project vision without compromise. Whether quietly supporting in the background or rising stunningly to the forefront, structural solutions should always unite grace and efficiency, within budget. Together with our partners we’ve innovated all manner of building systems, yielding deep choice and flexibility, designing both the groundbreaking and the proven. Our single discipline focus and broad client and market base includes consulting on projects ranging from intricately detailed residences to $1.3 billion projects. string(35) "University of Washington Denny Hall"
string(46) "University of Washington Denny Hall SQUARE.jpg"
string(71) "public://projects/list/University of Washington Denny Hall SQUARE_0.jpg"
Denny Hall is the University of Washington’s oldest building on campus, and with it carries a lot of history. A predesign study of the 1895 facility included extensive analysis of programmatic capacity, and evaluation for the extent and nature of the renovation needs. Subsequent layout for the major renovation and seismic upgrade included the design of new concrete shear walls and floor framing, a new elevator core, and a full-height central atrium. 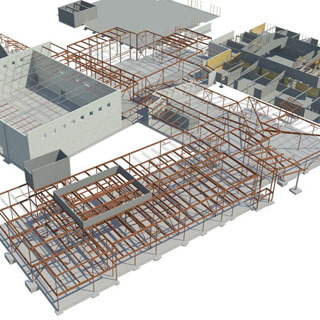 PCS used laser scanning to validate the BIM model built from the existing drawings; several discrepancies were identified and corrected, thus avoiding potential change orders and delays in the field. This project received a 2017 Build Washington Award from the Association of General Contractors. string(43) "University of Washington Tacoma Philip Hall"
string(54) "University of Washington Tacoma Philip Hall SQUARE.jpg"
string(77) "public://projects/list/University of Washington Tacoma Philip Hall SQUARE.jpg"
Situated between two historic multi-story masonry warehouses, Philip Hall is a 21,000 SF three-story steel framed/concrete shear wall facility. The majority of the structural frame is exposed to view. The facility houses a 500-seat campus assembly hall, administration offices, two multi-purpose collaboration rooms, and two retail spaces. string(39) "Tacoma General Rainier Tower SQUARE.jpg"
string(62) "public://projects/list/Tacoma General Rainier Tower SQUARE.jpg"
The Rainier Pavilion provides a state of the art facility built to expand neonatal and neonatal intensive care at Tacoma General Hospital. The new 8-story, 125,320 square foot facility will also house expanded labor and delivery facilities, general medical and surgical units and private NICU rooms. 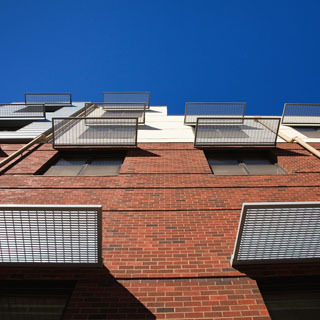 In order to utilize floor space most efficiently and create open exterior walls the lateral system was designed using side plate moment frames and buckling restrained braced frames. Life Safety Performance, Immediate Occupancy and Continuous Operation were critical for this facility. 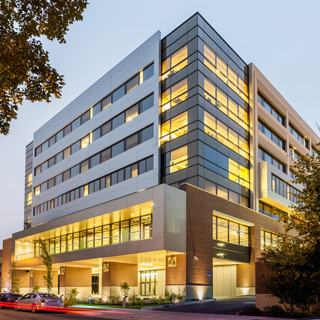 This led to the use of Performance Based Design utilizing a non-linear time history analysis which saved construction dollars and yielded a better performing, more cost effective building. string(40) "Tacoma General Rainier Tower FEATURE.jpg"
string(67) "public://projects/featured/Tacoma General Rainier Tower FEATURE.jpg"
string(31) "Washington State History Museum"
string(42) "Washington State History Museum SQUARE.jpg"
string(65) "public://projects/list/Washington State History Museum SQUARE.jpg"
The Washington State History Musuem consists of a 105,000 SF three-story structure featuring a unique roof - three transverse vaults intersect the main longitudinal vault, creating a bold architectural feature. 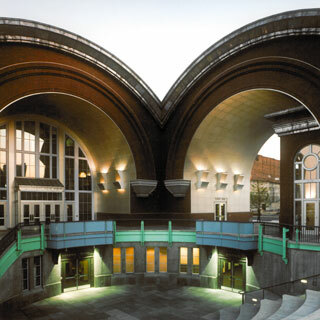 The entry arch, public amphitheater, a 215-seat auditorium and many exhibit areas add to the unique character of this structure as it tells the story of the History of Washington. The roof is framed by a combination of curved pre-cast concrete roof elements and cast in place concrete beams. The balance of the floor structure is post tension concrete. string(44) "Washington State History Museum FEATURED.jpg"
string(71) "public://projects/featured/Washington State History Museum FEATURED.jpg"
string(40) "Central Washington University Black Hall"
Black Hall houses the College of Education producing the future educators of the State of Washington’s children. To provide state of the art training facilities for students the original Black Hall facility was “gutted” to the structure and then renovated and 65,000 square feet of new teaching labs and offices were added. The final building configuration totals over 105,000 square feet of space. string(39) "Central Washington University Dean Hall"
string(50) "Central Washington University Dean Hall SQUARE.jpg"
string(73) "public://projects/list/Central Washington University Dean Hall SQUARE.jpg"
Central Washington University’s Dean Hall was originally constructed in the late 1960s to serve the University’s Science Department. After the construction of a new state-of-the-art facility in the late 1990s, Dean Hall was scuttled and sat empty for several years. 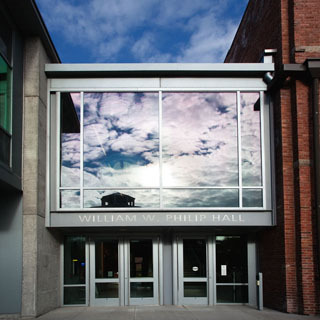 In the early 2000s, CWU made plans to renovate and update the three-story concrete structure to house the Anthropology and Museum Studies Department. 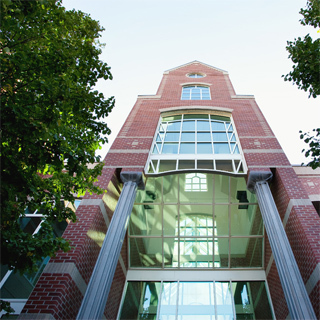 While the interior of the building was substantially altered, the original exterior brick and concrete finishes were saved, retaining the building's original architectural character. The additions of new entries and stair towers on the east and west sides used a similar palette of concrete and brick materials to both update and celebrate the original design. string(51) "Central Washington University Dean Hall FEATURE.jpg"
string(78) "public://projects/featured/Central Washington University Dean Hall FEATURE.jpg"
PCS has had the privilege of being involved in the Alexis Hotel's initial, substantial renovation in the 1980s as well as minor modifications since then. 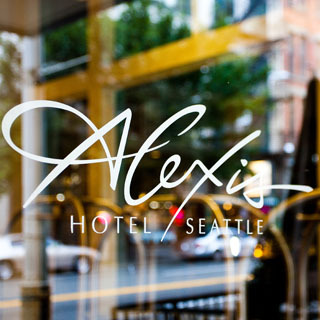 The initial renovation consisted of structural evaluation and seismic rehabilitation of this historic brick structure in downtown Seattle, resulting in a four-star luxury hotel. The building is a 77,000 square foot five story unreinforced masonry bearing wall structure. 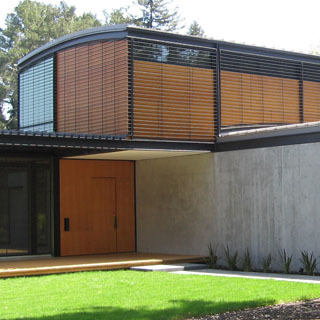 It was seismically upgraded with interior concrete shear walls supported by auger-cast piles. The upgrades also included wall anchorage of the historic brick walls and parapets and restoration of the historic exterior façade. The structural upgrades were done in a way to minimize disruptions of the exterior historic fabric of the building. string(29) "Bay Area Residence SQUARE.jpg"
string(52) "public://projects/list/Bay Area Residence SQUARE.jpg"
The Bay Area Residence is a single-family home composed of two buildings connected by a long glass corridor. The corridor is flanked by outdoor sitting areas shielded by steel plate sun screens. The steel arched roof framing is exposed to the interior spaces, while the envelope is a combination of glass and exposed concrete walls. The Master bedroom sits like a jewel-box atop one of the primary volumes. string(30) "Bay Area Residence FEATURE.jpg"
string(57) "public://projects/featured/Bay Area Residence FEATURE.jpg"
string(32) "Cascade Middle School SQUARE.jpg"
string(55) "public://projects/list/Cascade Middle School SQUARE.jpg"
The Cascade Middle School addition and modernization consists of a new two story classroom, gymnasium, library, administration, cafeteria, and kitchen totaling 76,000 SF, which was built within tight proximity to existing structures. Functional requirements dictated that site utilities had to remain in use throughout the duration of construction as well as during the renovation of existing classroom and boiler plant. 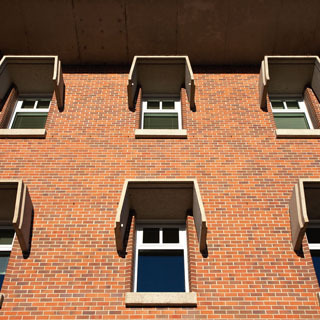 Special structural solutions were required for liquefiable soil and renovation of a 1960s classroom building fraught with many undocumented renovations. 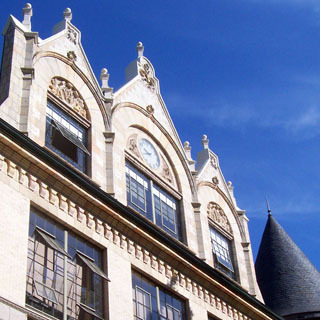 Construction of the school consisted of masonry and structural steel, while  existing renovations were accomplished with masonry, concrete, structural steel, and wood framing. string(41) "Central Pierce Fire and Rescue Station 65"
string(52) "Central Pierce Fire and Rescue Station 65 SQUARE.jpg"
string(75) "public://projects/list/Central Pierce Fire and Rescue Station 65 SQUARE.jpg"
string(42) "Central Pierce Fire and Rescue Station 6-5"
One of 3 prototypical station designs for Central Pierce Fire and Rescue is shown above. 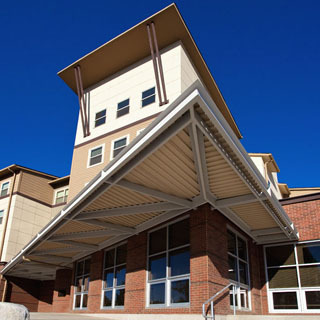 PCS provided structural consulting for the same prototypical configuration supporting a pre-manufactured building system and for supporting a timber structural system design. Both structural versions ended up being constructed on different sites. string(40) "Central Washington University Barto Hall"
string(51) "Central Washington University Barto Hall SQUARE.jpg"
string(74) "public://projects/list/Central Washington University Barto Hall SQUARE.jpg"
The previous Barto Hall at Central Washington University no longer met the needs of the growing university. This new 117,000 SF wood frame residence hall provides more than just additional rooms for students - an attached multipurpose suite serves the building and is accessible to all campus residents. A dynamic central area serves as the nexus for the three residence wings and features alternating two story meeting spaces and large uninterrupted northern views. Utilization of pre-fabricated wood wall assemblies not only facilitated a quick construction schedule but also helped to achieve the LEED Platinum rating by reduced waste. string(44) "Central Washington University Music Building"
string(55) "Central Washington University Music Building SQUARE.jpg"
string(78) "public://projects/list/Central Washington University Music Building SQUARE.jpg"
The CWU Music Education Building is a state-of-the-art facility that features a 600-seat concert hall and a 150-seat recital/lecture hall, as well as classrooms, rehearsal spaces, recording studios, and a wealth of other support functions. The building is designed to provide acoustical separation to large, expansive performance spaces as well as small, private studios. The centerpiece consists of a tall, circular rotunda constructed or precast concrete columns, curved steel frames, and a sweeping roof. string(48) "Central Washington University Nicholson Pavilion"
string(59) "Central Washington University Nichalson Pavilion SQUARE.jpg"
string(82) "public://projects/list/Central Washington University Nichalson Pavilion SQUARE.jpg"
Central Washington University’s Nicholson Pavilion is a unique, cable suspension arena originally constructed in 1959. While the facility is an icon on the campus, out-of-date locker rooms, lack of office space, along with overall deterioration mandated an upgrade. The renovation was a multi-phased project, first addressing Title IX requirements with later phases focusing on modernizing the basketball arena and lobby, as well as the men’s locker rooms, weight rooms and training rooms. string(47) "Central Washington University Wendell Hill Hall"
string(58) "Central Washington University Wendell Hill Hall SQUARE.jpg"
string(81) "public://projects/list/Central Washington University Wendell Hill Hall SQUARE.jpg"
Called home by approximately 480 students these (2) four-story wood frame buildings located on the north end of the Central Washington University campus expand on-campus housing options for the University. 146,000 SF of mixed unit types including single and double bedrooms with shared living spaces were built from pre-fabricated wall assemblies shipped to the site for fast-tracked erection - a project designed and constructed in just 27 months. string(31) "City of Tacoma Fleet Operations"
string(41) "Tacoma Police Fleet Operations SQUARE.jpg"
string(64) "public://projects/list/Tacoma Police Fleet Operations SQUARE.jpg"
The renovation of an existing 120,000 SF Costco Warehouse Store provided the space to consolidate the fleet maintenance activities for the Tacoma Police Department from multiple buildings into one. The project included 30,000 square feet of new office and storage facilities within the shell of the existing building. The building is “LEED” accredited. string(30) "Dupont Civic Center SQUARE.jpg"
string(53) "public://projects/list/Dupont Civic Center SQUARE.jpg"
DuPont Civic Center is comprised of two buildings, the City Hall Building and the Public Safety Building, which is home to the Police and Fire Departments. 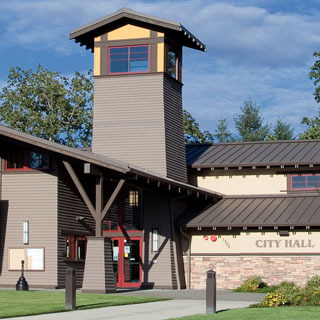 City Hall features exposed timbers at the Entry, Lobby, bell tower and City Council Chambers. 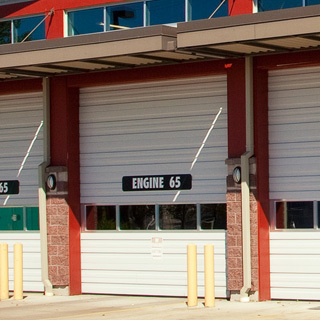 The 2-story Fire Station has four apparatus bays and offices on the main level along with a large training area shared with the Police Department. Fire fighter quarters, kitchen and dining areas are located on the second story. 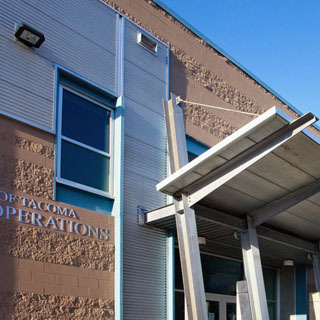 The Police Station has offices, lockers, holding cells and a vehicle sally port at the main level along with a full basement which contains an indoor shooting range. string(40) "Good Samaritan Children’s Therapy Unit"
string(38) "Good Sam Children's Therapy SQUARE.jpg"
string(61) "public://projects/list/Good Sam Children's Therapy SQUARE.jpg"
Designed to emulate the shape of Noah’s Ark, the Dr. Donald & Beret Mott Children's Center provides an apt metaphor for children and their families - a safe haven as they navigate difficult health challenges. The 42,000 sq. ft., two-story facility houses exam and therapy rooms, a hydrotherapy pool, research labs, and related spaces for children requiring physical therapy, rehabilitation, and other developmental disabilities. The exposed, curved and sloping wood structure, used throughout the building, provides an emphasis on welcoming and uplifting children of all ages. This project was featured in Building Design & Construction (August 2001) and Architectural Record (July 2002). The old 45,000 SF Coca-Cola bottling plant in Tacoma, built in the 1950's, is now home to Griot’s Garage. 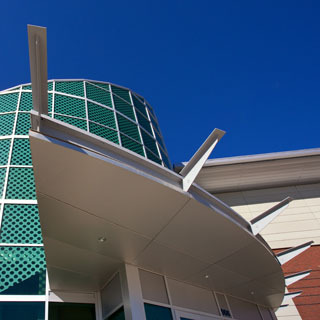 PCS provided the design for seismic improvements, clerestory roof elements, removal of columns, new addition, pylons at the exterior of the structure and a free standing steel framed canopy. Much of the original heavy timber roof construction, steel beams and columns are exposed to view. 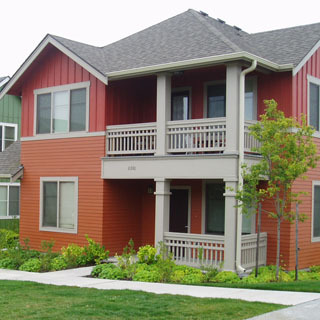 High Point is the largest and newest of Seattle Housing Authority’s three HOPE VI family housing revitalization projects. The homes were originally designed to house defense workers during World War II and had since fallen into disrepair. Years of thoughtful planning and construction came to fruition as residents moved back into their new homes and the dream of reconnecting the High Point neighborhood with the rest of West Seattle became a reality. The $160 million plan created a mixed-income community of 1,700 units of rental and for-sale housing. This project was among ten winners of the Urban Land Institute’s 2007 Awards for Excellence:  The Americas Competition, and received national recognition as America’s Top Urban Places for 2007 from the Rudy Bruner Award for Urban Excellence. 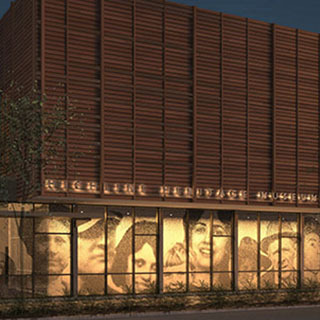 string(25) "Highline Heritage Museum "
string(35) "Highline Heritage Museum SQUARE.jpg"
string(58) "public://projects/list/Highline Heritage Museum SQUARE.jpg"
This new 15,000 SF, two-story museum will house the history of the Highline neighborhood and serve as the site for numerous travelling exhibits. Sustainable design strategies include utilizing ground source heat pumps, managed day lighting and specialty glazing - integrating art and energy performance. 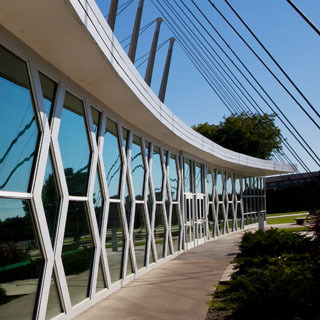 PCS Structural Solutions framed the museum with steel in order to balance and support articulated building forms, and allow full height glazing that provides transparency to the neighborhood. 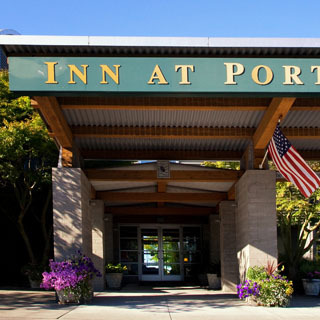 string(19) "Inn at Port Gardner"
string(30) "Inn at Port Gardner SQUARE.jpg"
string(53) "public://projects/list/Inn at Port Gardner SQUARE.jpg"
Nestled by the sailboats in the marina near the waterfront, the INN at Port Gardner is Everett’s finest boutique hotel. Its design reflects the historic waterfront while being set against the backdrop of a glistening Port Gardner with emerald green views of Whidbey, Camano, and Hat Islands. A grand floor to ceiling fireplace welcomes the traveler in the entry lobby which is flooded by natural light and where one can also relax while taking in the views of the sunset over the bay. The inn has 33 rooms, two conference rooms and a small café. 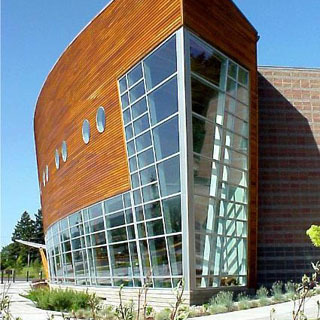 The design received an AIA Seattle 1998 Merit Award and a Commendation Award for Washington Architecture.